As always, the Arches was clean and comfortable with that friendly welcome from Nikki and Kendra. The icing on the cake, so to speak, is the wonderfull breakfast. 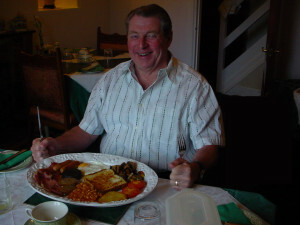 Mr Dale enjoying his breakfast.